Brief：Chinese President Xi Jinping arrived Fortaleza on 14th July for a summit of the BRICS countries from Tuesday to Wednesday.During Xi's visit to Brazil, the two countries are expected to sign a series of cooperative documents in such fields as trade, investment, finance, infrastructure, science and technology, as well as education. 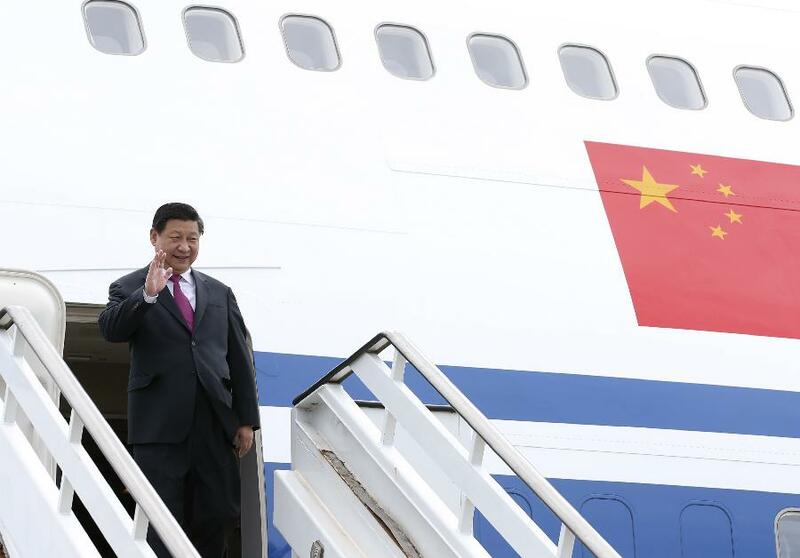 Chinese President Xi Jinping arrived Fortaleza on Monday for a summit of the BRICS countries. The sixth summit of the BRICS, which consists of Brazil, Russia, India, China and South Africa, will be held in Brazil from Tuesday to Wednesday. Upon arrival, Xi noted that BRICS is an important force in international relations and an important constructor of the international system, adding that China firmly supports and actively participates in cooperation among BRICS countries. Currently, world economic recovery is still facing many complex factors, said Xi. "I look forward to having an in-depth discussion on cooperation with leaders of other BRICS countries, reach further consensus and plan for future development so as to provide more positive energy for pushing forward world economy growth, improving global economic governance and promoting world peace and development," he said. The BRICS countries now account for 21 percent of global economic output and have contributed more than 50 percent of world economic growth in the past decade. Under the theme of "Inclusive growth: sustainable solutions," this year's summit will see the attendance of Xi, Brazilian President Dilma Rousseff, Russian President Vladimir Putin, South African President Jacob Zuma and Indian Prime Minister Narendra Modi. They will also meet leaders of the Union of South American Nations during the summit. It is the second time for Xi to attend the BRICS summit and his second time to visit Latin America since he took office last year. His attendance is widely expected to promote cooperation among BRICS countries, boost bilateral ties between China and relevant Latin American countries as well as China-Latin America relations. Chinese Vice Foreign Minister Li Baodong said earlier that the recent slowdown of economic growth in BRICS countries is essentially different from the financial crisis that hit Western countries. The BRICS economies enjoy sound basics, abundant policy tools and great growth potential, he said. During Xi's visit to Brazil, the Chinese leader will hold talks with his Brazilian counterpart Rousseff. He will also meet with Brazil's parliament leaders and deliver an important speech at the parliament. The two countries are expected to sign a series of cooperative documents in such fields as trade, investment, finance, infrastructure, science and technology, as well as education. The year of 2014 marks the 40th anniversary of the establishment of diplomatic ties between China and Brazil. Brazil is an important emerging market economy and the largest developing country in the western hemisphere. 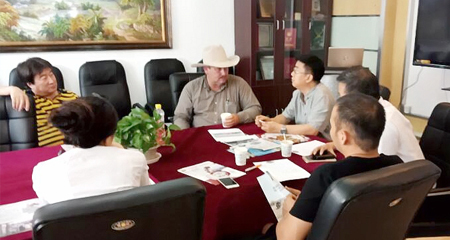 It is also the first developing country to forge a strategic partnership with China and the first Latin American country to establish a comprehensive strategic partnership with China.